From as early as 1966, the family perfected their craft of producing exceptional tree fruits. In 2009, this tradition became focused on the art of growing premium grapes. The blending of old world charm and new world technology create the perfect recipe for wines you want to enjoy with family and friends. The patio at Adega on 45th boasts a panoramic view of beautiful Osoyoos, known for its spectacular sunsets and warm desert air. 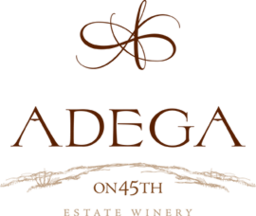 Come experience what Adega has to offer ... it's yours for the tasting!